farewell 2018, you were lovely. Another trip around the sun. Another look back, in order to look forward again. Oh. My. Heart. Thank-you 2018, you were lovely. I’m very thankful for this look back - it forces me to pause and reflect on the year that’s passed; to revisit the stories and special moments that were shared with me. I hope there never comes a time when I don’t shed a tear (or a bazillion) or laugh out loud or sit with a silly grin while I pour over the year’s images. Thank-you never ever seems to cut it, but I am thankful beyond words. The invitation into your stories and precious moments is a gift and the ultimate trust - my heart is full and so very grateful. Please enjoy this year’s love note from me to you. The value of a photograph only grows over time. Truth. A record of the past - a memory you can revisit and hold on to. A gift that is more precious with the passage of time. All truths. Photographs are so important to our sense of belonging and personal histories. 9 times out of 10 the ones that are cherished are the ones that you didn’t know were taken, the ones you didn’t know you wanted, the ones that pushed you into ‘real ness’ and out of the show of it all, the ones you may have deleted off of your phone had you been in charge ;) The investment of having someone truly see the value of a moment or a photograph before you do, is priceless. Whether it’s me or another photographer creating the image, the value of a photograph only grows over time. Truth. .
Let's give this blog some lovin' shall we? this has very quickly become one of my favourite holiday traditions – babies asleep, me, alone in my studio, completely immersed in an entire year of photographs (it sort of feels like art school…minus the sleeping babies). poring over thousands of frames and stitching together a story - your story. as ‘handcrafted’ a gift as I can manage and made by me with just as much love and heartfelt gratitude for the invitation to witness your story. it’s a way of reflecting back how truly beautiful your lives are and a way of saying thank-you. click below to have a look. p.s. thank-you to the amazing Jenn Grant for creating ‘No One’s Gonna Love You (Quite Like I Do)’. simply stunning. 2013 was a landmark year for me in so many ways - the heart of it, welcoming Niall's baby brother Feargus. But my other baby - my photography - was a most welcome companion every step of the way. For that I will never be able to thank the friends and clients of Heather Lynch Photography enough. Your love and openness and the invitation into your beautiful worlds remain the sweetest honour. Thank you. Two words that will always fall short when I think of the gratitude I feel. It’s with a full and happy heart that I send wishes for a 2014 full of 'those' moments (you know the ones)…grab them, live them and love in them. As much as possible. P.S. Love to Royal Wood for creating the *perfect* ‘Forever and Ever’ (2013). 'farewell to 2013' Heather Lynch Photography from Heather Lynch Photography on Vimeo. Is it just me, or is it beginning to feel A LOT like Christmas?! ;) Due to the high demand for Fall portrait sessions, Heather Lynch Photography is offering a WHOLE day of Mini-Sessions! Get ahead in your holiday preparations. 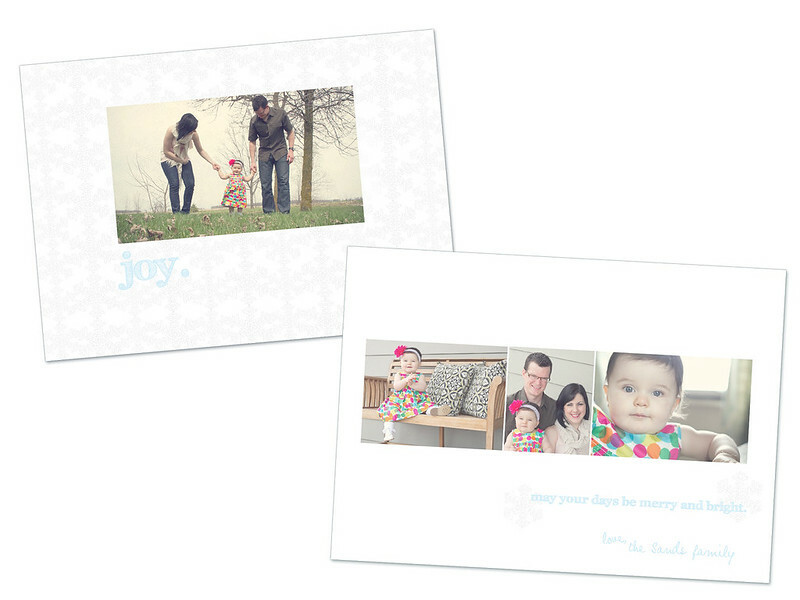 Capture your family photographs in time to share with loved ones AND enjoy beautifully-designed, customized Christmas cards featuring your portraits! Spaces are limited, so don't delay. For all the details and to book your session, email heather@heatherlynch.ca or call the studio at 519.902.9955 today!